Dean Peter F. Buckley has been named to a seven-person Executive Committee charged with planning the future of the International Congress on Schizophrenia Research. He also co-edited the second edition of a reference book for mental health professionals on schizophrenia. He is editor of a similar, new reference textbook on the intersection of mental and physical health, as well. Buckley also is included in Irish America magazine’s 2015 list of the best and brightest Irish-American and Irish-born trailblazers in the life sciences. Dr. Phillip Coule, vice chairman of clinical and business operations for MCG’s Department of Emergency Medicine and Hospitalist Services, has been named associate chief medical officer and chief patient safety officer for Georgia Regents Health System. He will work to improve patient quality and safety and clinical effectiveness at the hospitals and practice sites associated with GRHealth. Dr. Bennett S. Greenspan, professor in the Department of Radiology and Imaging, has been elected vice president of the Society of Nuclear Medicine and Molecular Imaging. He will serve a yearlong tenure as vice president in 2017. Dr. Charles Howell (’73), chairman of the Department of Surgery, has received MCG’s 2015 Professionalism Award. 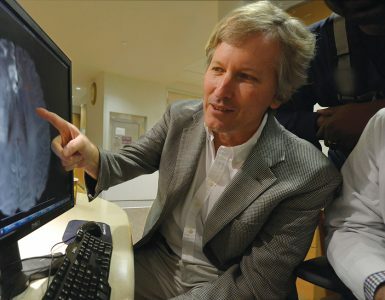 He is a pediatric surgeon and helped plan and develop the Children’s Hospital of Georgia, which opened in 1998. He designed the facility’s operating rooms, and has served as medical director of operative services since the hospital opened. He is also surgeon-in-chief and co-medical director of CHOG. Dr. Iqbal Khan, founding dean of MCG’s Southwest Campus in Albany, has been named administrative director of the MCG Office of Admissions. Khan is also assistant dean of the University of Georgia College of Pharmacy’s Southwest Campus. In his new role, he will help organize and manage the medical school admissions process. Dr. Walter J. Moore, senior associate dean for graduate medical education and VA affairs, has been elected to a four-year term as governor of the Georgia Chapter of the American College of Physicians, the national organization of internists. He also received MCG’s 2015 Outstanding Faculty Award. Joel Wernick, president and CEO of the Phoebe Putney Health System, home of MCG’s inaugural campus, has received MCG’s 2015 Dean’s Community Advocate Award. He is consistently ranked by Georgia Trend magazine as one of Georgia’s 100 most influential people. Dr. Christopher Bradford White, professor emeritus in the Department of Pediatrics, has received MCG’s 2015 Lifetime Achievement Award. His MCG tenure included serving as director of pediatric student education, co-director of community faculty development and associate dean for faculty development and educational achievement. He continues his practice in general pediatrics and pediatric infectious diseases at the Children’s Hospital of Georgia. 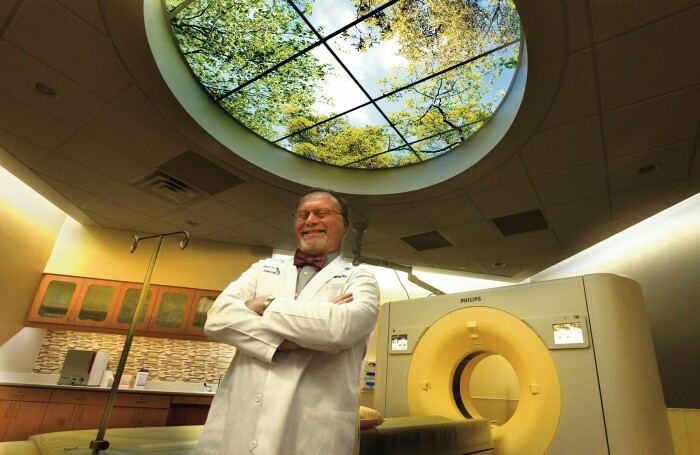 Dr. James V. Rawson, chairman of the Department of Radiology and Imaging, will design and lead a new Commission on the Patient Experience for the American College of Radiology. Rawson, who holds the P.L., J. Luther, Ada Warren Chair of Radiology at MCG, was recently elected to a three-year term on the 33-member Board of Chancellors of the American College of Radiology. 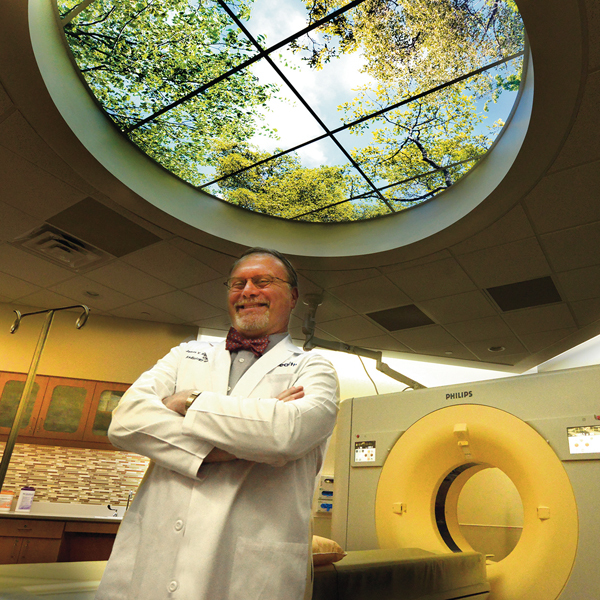 He has lectured and consulted nationally on patient-centered care in radiology. Dr. Vinata B. Lokeshwar is the new chairwoman of the MCG Department of Biochemistry and Molecular Biology. 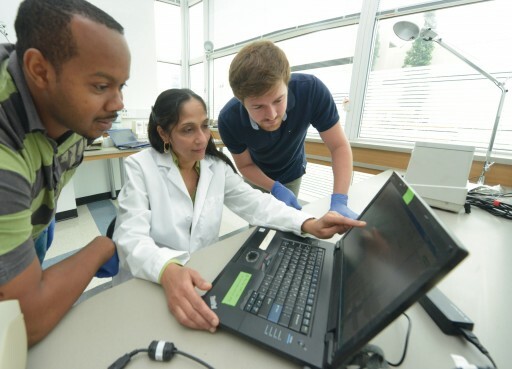 Lokeshwar, a cancer researcher who studies the metastasis of prostate, bladder and kidney cancer, came to MCG from the University of Miami Miller School of Medicine where she was professor and co-director of urology research in the Departments of Urology and Cell Biology. 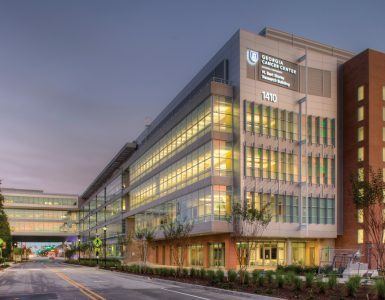 In Miami, she also co-directed the Pilot and Collaborative Translational and Clinical Studies component of the Miami Clinical and Translational Science Institute. 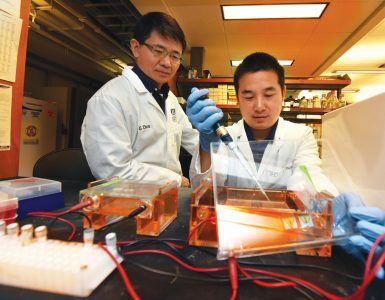 The institute is funded by the National Institutes of Health’s National Center for Advancing Translational Sciences. Lokeshwar, whose research has had continuous external funding for 18 years, is the principal investigator on three National Institutes of Health grants and two grants from the Women’s Cancer Association of the University of Miami to help develop a urine test for bladder cancer and pursue early diagnosis and better treatment for kidney cancer. She is a past president of the Society for Basic Urologic Research, an ad hoc member of the Research Advocacy and NIH Relations workgroup of the American Urological Association Office of Research and two-time chairwoman of the Bladder Cancer-Basic Research Session at the American Urological Association Annual Meeting. She is senior editor of the textbook “Bladder Tumors: Molecular Aspects and Clinical Management”, associate editor of the journal Bladder, consulting editor of the journal Urologic Oncology and a member of the editorial board of World Journal of Urology and Bladder Cancer. Lokeshwar, who has mentored more than 30 graduate students, residents, fellows and junior faculty, was named the 2015 Sylvester Comprehensive Cancer Center Outstanding Mentor of the Year for Trainees. She earned a Ph.D. from St. Louis University in Missouri and completed postdoctoral studies in the Department of Cell Biology and Anatomy at the University of Miami Miller School of Medicine. During her postdoctoral work, she completed American Heart Association and National Cancer Institute fellowships.